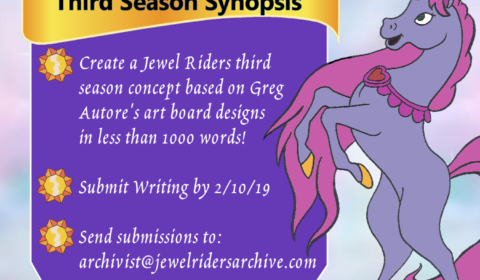 Earlier this year, we asked the writers of the Jewel Riders fan community to gather around and create a pitch for the third season of the show, but with a twist! 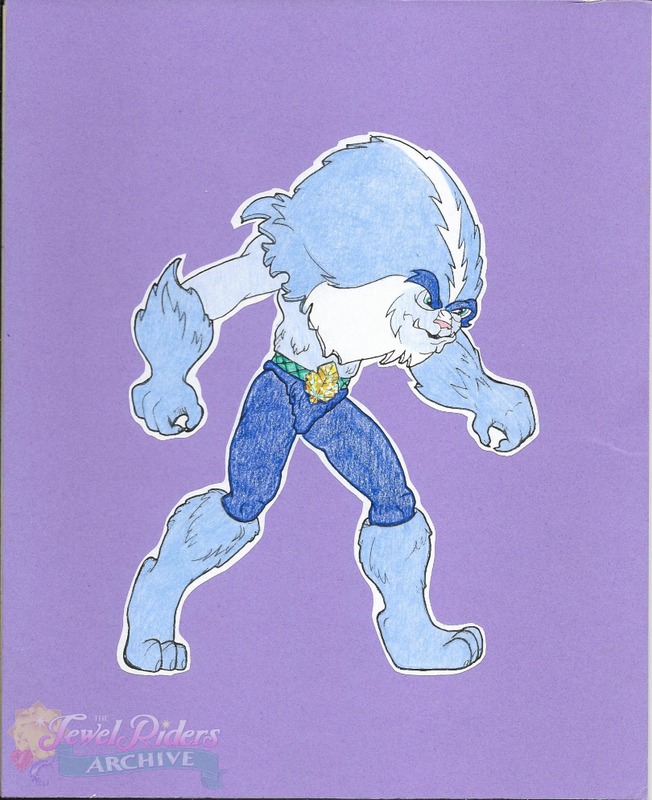 They had to create this pitch based on the toy concepts for the third season from Greg Autore, art director for the show. We got several submissions, all of them very unique and interesting takes on what the third season could have been! Our very first submission came from friend of the site Lisa Dawn, author and owner of The Princess Blog. The Jewel Riders are celebrating the one year anniversary of rescuing Merlin from the wild magic and banishing Morgana and the other evil wizards. They are decked out in their finest ballgowns in the Crystal Palace’s banquet hall. Drake incessantly asks Gwenevere to spill all the details about her relationship with Ian. Gwen gets angry and refuses to dance with him. Moondance and Fallon try their best to enjoy their time together before Moondance must attend regular training sessions with her mother, Queen Sierra, to become the future queen of the unicorns. Tamara and the babies perform a special song for the celebration, but the performance is cut short when Tamara gets a call from her Heart Stone. The call is from Shadowsong, Tamara’s bonded unicorn from afar. She learns that Shadowsong’s homeland, revealed to be known as Shangri-La, is being attacked by powerful wild magic, and he needs the Jewel Rider’s help immediately. The celebration is called off. Merlin uses his One Jewel to level up the Sun Stone, Heart Stone, and Moon Stone. The appearance of the Jewel Riders’ armor has changed for the second time. They each now have a new special ability in addition to the power of their enchanted jewels. 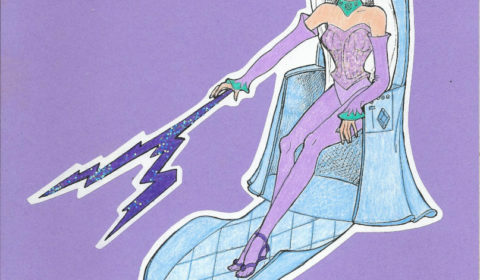 Fallon has winged boots that allow her to run at inhuman speeds and leap tall buildings. 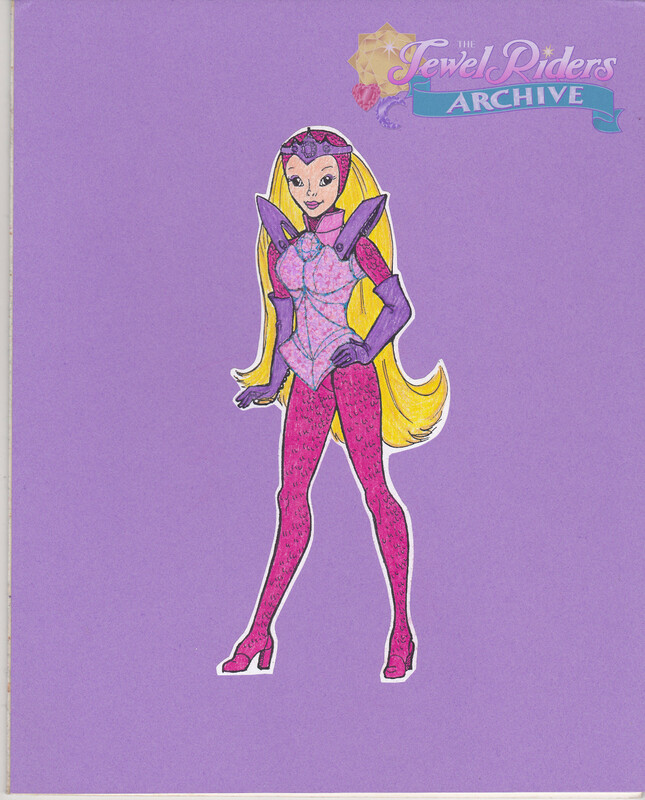 Gwenevere has pleated shoulder plates that give her super strength. 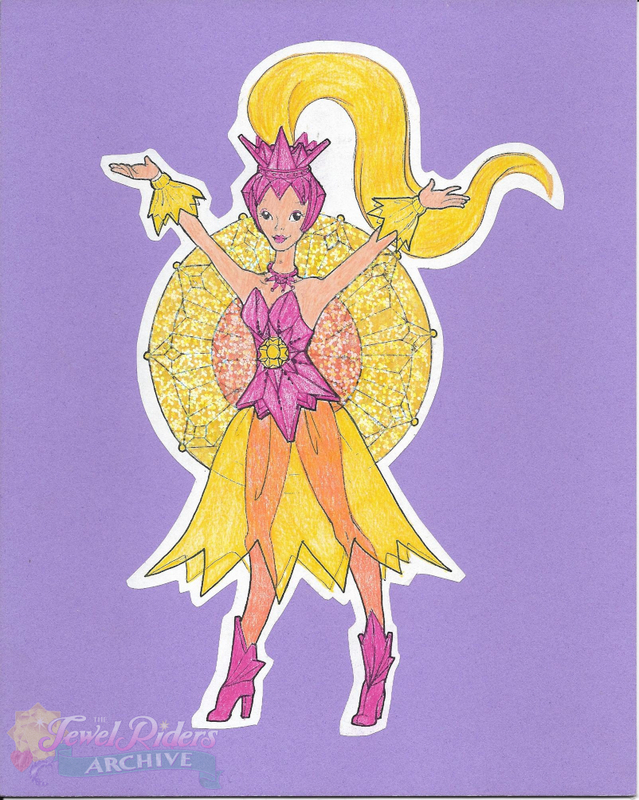 Tamara has a flower-like shield that protects her and others from powerful blasts of magic. Gwenevere jumps on Sunstar and Fallon jumps on Moondance. Tamara’s baby animals, Cleo, Sugar, and Spike, try to convince her to let them join the Jewel Riders on their mission, but she insists that they’re not ready for such a dangerous adventure yet and leaves them in Merlin and Archie’s care. As the Jewel Riders ask the Travel Trees to help them navigate to Shangri-La, the Wild Magic Gliders appear and tell them that they can give them even more powerful wings to glide through the wild magic and get them there even faster. The wings match their new jewel armor. The next thing they know, they are soaring through the wild magic at top speed. When they arrive, they find that the entire landscape is falling apart. Leaves are missing from trees, water is missing from lakes, and everything shines with an eerie purple glow. Shadowsong finds Tamara and invites her to climb on his back. He takes her and the other Jewel Riders throughout the area, showing them the full range of destruction. 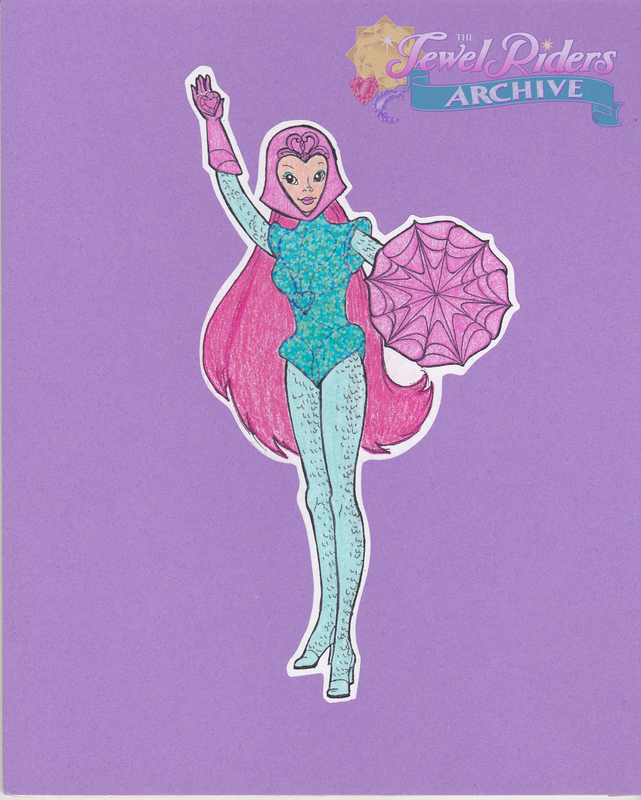 Gwenevere casts a spell with her Sun Stone to locate the source of the problem, which takes her high up in the sky. It’s a good thing Sunstar knows how to fly! She finds Morgana floating around in a levitating throne and sucking up the magic of the land. 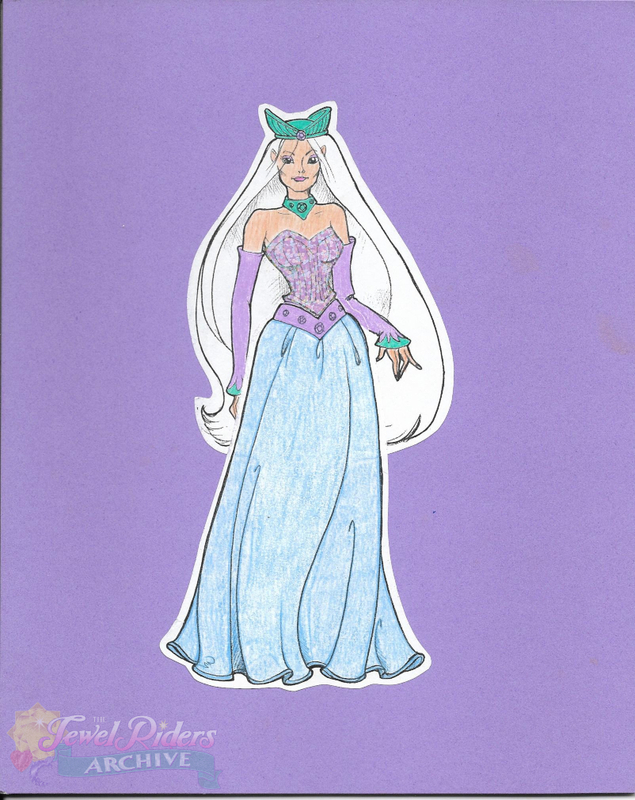 She explains to Gwenevere that after the Jewel Riders took away her Dark Stone and the other Wizard Jewels, she taught herself how to manipulate the wild magic to travel to other realms and absorb the magic within the lands themselves. To make matters worse, she has her sights set on Avalon next. 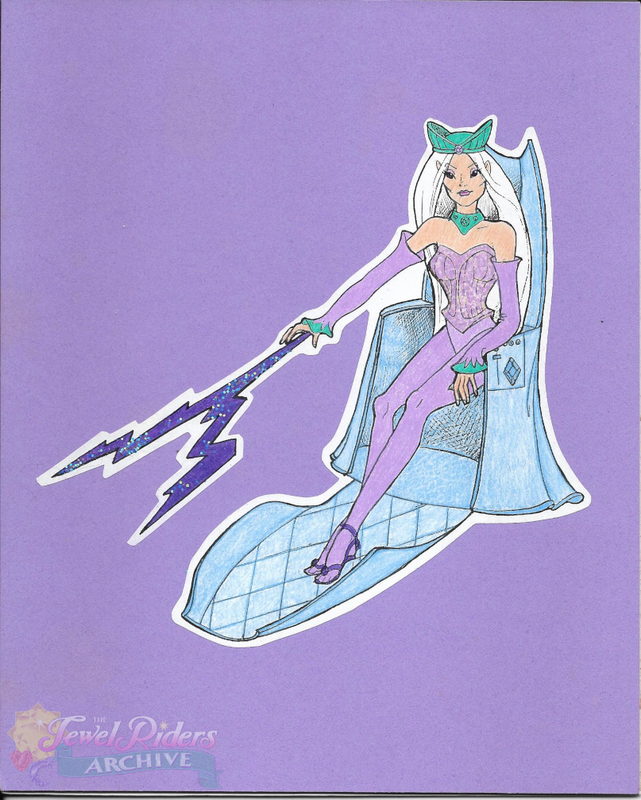 To Princess Gwenevere’s horror, Morgana releases a purple lightning bolt that unlocks a portal. 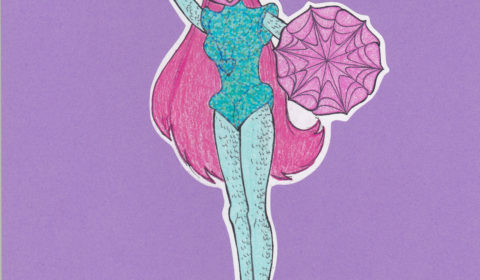 Gwenevere can already see seen the Crystal Palace shimmering on the other side. With no time to waste, Gwen and Sunstar fly back to the other Jewel Riders and tell them about Morgana’s plan. 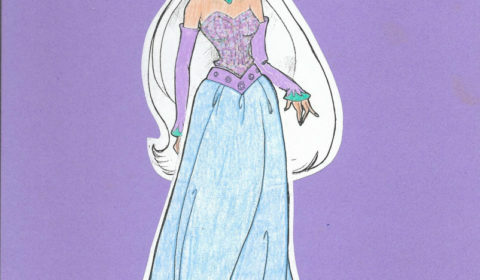 They use their enchanted jewels to communicate with their friends back in Avalon through the power of Merlin’s staff. Together, they come to the difficult decision to seal Avalon off from the wild magic until Morgana could be stopped. Unfortunately, the seal can only work if it’s done from both sides of the portal, meaning the Jewel Riders will not be able to go home for a while. Gwenevere, Tamara, Fallon, Sunstar, Moondance, and Shadowsong form a friendship circle under the portal to Avalon that Morgana opened in the sky while Merlin, the Pack, Queen Anya, King Jared, and Tamara’s baby animals form a circle in the Friendship Ring back in Avalon. The power of friendship seals the portal from both sides before Morgana gets a chance to invade Avalon. Thanks to their newly powered up Enchanted Jewels, the Jewel Riders are also able to restore Shangri-La to its original beauty, releasing it from Morgana’s clutches. Shadowsong is grateful to Tamara and the Jewel Riders for their help, but there’s still work to be done. Morgana wastes no time in opening another portal to absorb magic from a different land. Shadowsong can’t stand the idea of other lands suffering as his did, so he joins Tamara, Gwenevere, Fallon, Sunstar, and Moondance to travel through the wild magic and continue to protect the enchanted realms from Morgana’s wrath. Even though they are far from home, the Jewel Riders know that one day, the power of friendship will allow them to return to their loved ones when Avalon is safe. As they chase Morgana through the wild magic to protect the enchanted realms, they are able to continually check in with their friends back home via their enchanted jewels and Merlin’s staff. Morgana Returns – Morgana is back for revenge with her new powers! This entry came from Tumblr user Hubbabubbagump. 1 year has passed since the jewel riders defeating Morgana. 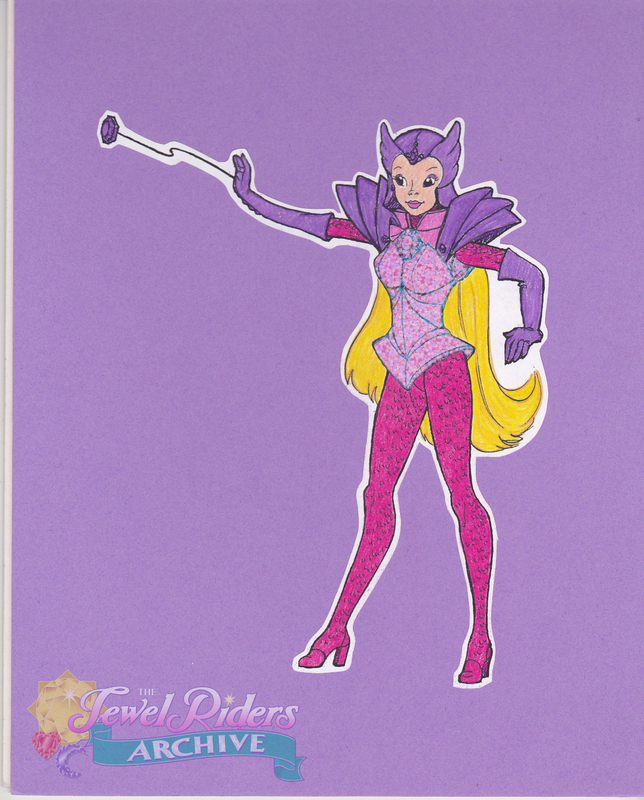 Things have been peaceful and the girls have been occupied with planning their futures; Tamara has finished studying to become a veterinarian, Fallon and Moondancer are teaching a new generation of potential jewel riders and Gwenevere been busy with her coming coronation as queen. To make things better her little sister Tara comes back to visit after being away at dance-academy. Things sure are looking up until random portals opens up all over Avalon causing magical havoc. Merlin tells the girls that something is wrong with the wild-magic and they have to travel into it to find the problem, but navigating through the wild magic too long is dangerous so he helps the girls to upgrade their armor to level 3 with include special powers for each one; Tamara has a shield for protection, Fallon gain wings on her boots for super-speed and Gwenevere gets enhanced super-strength. When the girls and their animal companions hops into the wild magic the gliders appear and tells the girls that someones collecting unstable magic jewels which is tearing the wild magic between worlds apart. The gliders guide them to Faeryland reuniting them with the faery Wisp. 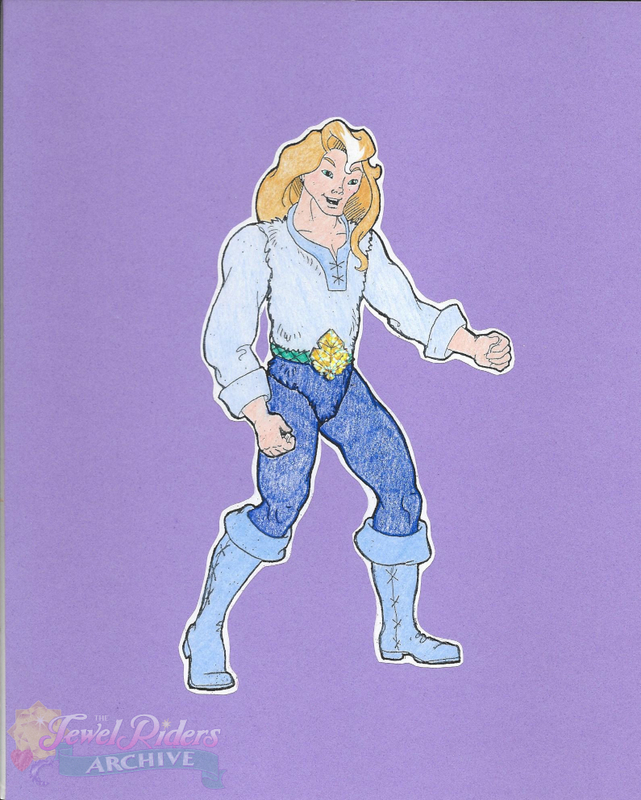 Wisp tells them that there’s another group of jewel riders in the land but they’re evil! 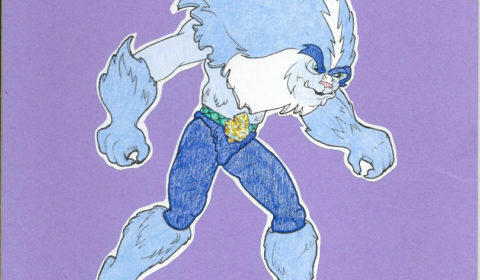 -Blair, wielder of the thunders-jewel and owner of Darkclaw the black panther. -Grendel, wielder of the star-jewel and owner of Eclipse the griffin. -Orchid, wielder of the iris-jewel and owner of Onyx-mist the pegasus. The “evil-riders” defeat the girls causing more havoc to the faeryland before they leave. The jewel-riders try to stabilize the faeryland with their magic but they’re not strong enough. Lucky Merlin appears using the one-jewel to save the day. After returning to Avalon the girls ponder want they can do to stop the evil-riders plus stopping the wild magic imbalance. They get a message from the Lady of Lakes telling the that if they have to find the source of the wild magic and the magic jewels: The Gem-forest. The forest’s hidden somewhere in the deepest part of the wild magic and the only way to locate it’s to find three pieces of a an ancient spell hidden in 3 different worlds. She open three water-gates telling the group that they have to get the pieces separately as test to prove them worthy. -Tamara and Shadowsong stumble right into a snowstorm! While trying to find protection from the blizzard they rescue many animals that’s been hurt by the blizzard. Once they’re safe in a cave (and Tamara has nursed them back to health) the animals tells that their owner Frostina the Ice Queen caused the storm because she’s fighting Blair. Tamara and Shadowsong march over to Frostinas palace, manage to calm her down by telling her that her powers have hurt her pets. 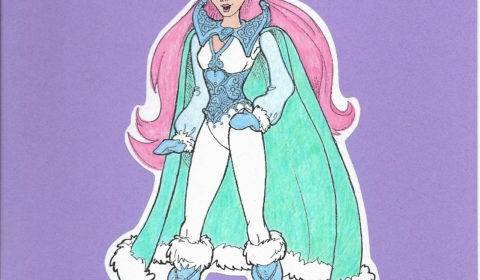 Together they stop Blair and as a thank you Frostina gives Tamara the first piece of the spell and a new outfit which gives her snow powers. -Fallon and Moondancer walk right into a fight between a race of flower-nymphs and trolls who are lead by Grendel. After a quick-battle with the trolls withdrawing because of the sun rising, Fallon learns that the trolls and nymphs used to be friends until Grendel came and made the trolls mad at the nymphs. Fallon volunteers to teach the nymphs how to defend themselves. When the night comes the nymphs and Fallon manage to trap the trolls and Grendel. Fallon lectures the trolls about the importance of listening to your friends and not listening to bad rumors. The trolls and nymphs are friends again and as a thanks the trolls gives Fallon the second piece of the spell and the nymphs grants Fallon a new outfit which includes flower powers. -Gwenevere and Sunstar end up in a world filled with crystal. Upon closer inspection Gwenevere discovers three mirror-shaped crystal which gives her visions of 3 possible futures: the first is her as queen married to Drake and ruling peacefully over Avalon but she has lost the connection to her friends due to being queen The seconds vision is where she never becomes queen but lives a simple life with Ian but has lost contact with her family. In the third she sees a future where they’ve lost with Morgana ruling over Avalon. 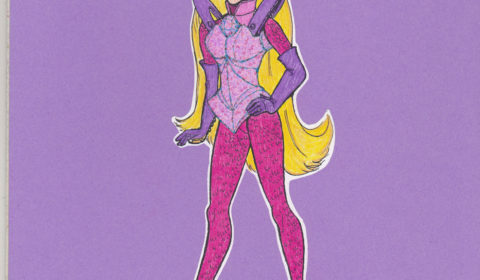 Orchid then appears using her iris-jewel on Gwenevere to seal her in a crystal filled with her fear and doubts of her future. 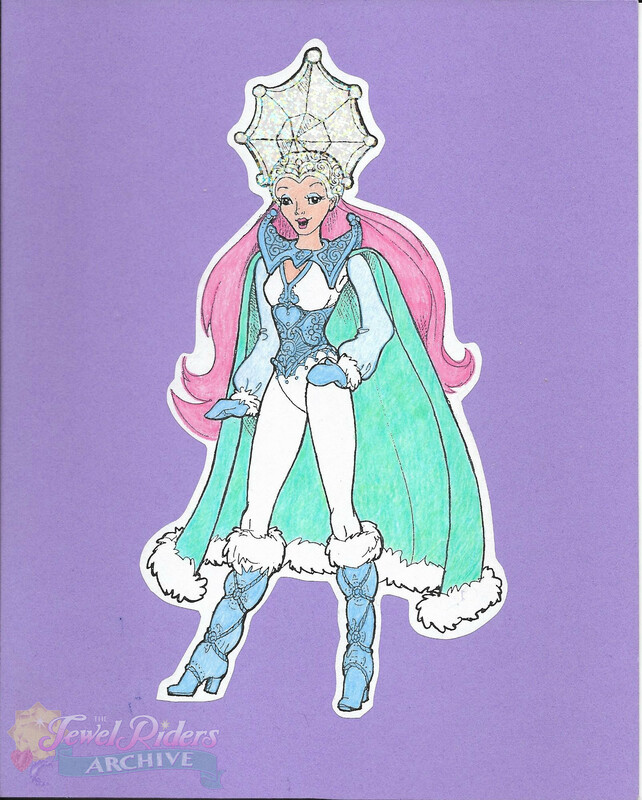 Thanks to Sunstar encouraging Gwenevere to make her own future fit for her, Gwenevere burst out of the crystal and defeats Orchid. 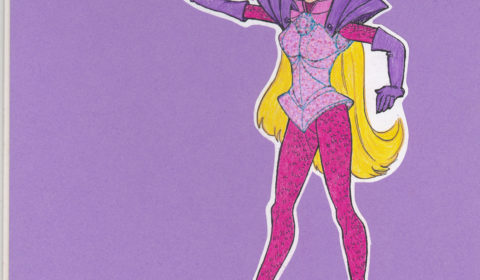 Suddenly the crystals speaks telling Gwenevere and Sunstar has passed the crystals test thus granting them the final piece of the spell and a new armour with crystals-powers. Together with Merlin and their friends the jewel-riders opens a gate to the Gem-forest, they soon face of Morgana who has proclaimed herself the mighty Jewel-Queen (with a throne made of jewels). She has also kidnapped Tara plus the baby animals and she’ll only release them if the jewel-riders give their jewels to her. They do so to and now Morgana has enough power to make her more powerful than ever. The jewel-riders end up fighting her despite having no jewels. Morgana traps them and starts draining their life away but to her surprise Tara and the baby animals has pulled sun, moon and heart jewels from her throne! The jewel-riders summon their jewels and their new powers triggers a chain-reaction with the other jewels in the gem-forest, combing all the jewels magic into a spell that erases Morgana from existence. The season ends with the coronation of Gwenevere as Queen of Avalon. surrounded by her friends and family. Everyone’s celebrating everything they’ve accomplished thanks to their friendships and love for each other. Friend of the site Kathleen sent us this great concept! Merlin has come back to Avalon and the one jewel has brought peace to the land. 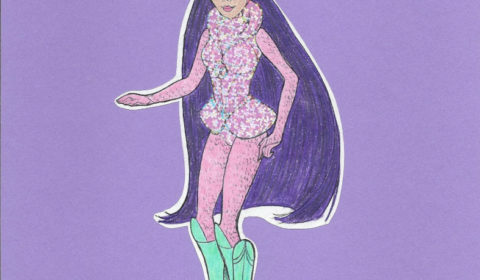 Starla is struggling with her identity now that she gave up the sun stone to form the one jewel and she is no longer a jewel rider and without the sun stone to pass down she will be the last queen of Avalon if the people of Avalon will let her be queen since she lost the sun stone. These questions have taken Starla into the hall of portraits several times as she sought advice from the first Queen of Avalon and the one that found the sunstone since she is just getting reassurances from her friends and not actions to resolve her problem. Finding the diary of the first sunstone jewel rider, Starla finds accounts of how the first sunstone came to exist and she decides to follow in the path of the first jewel rider and restore her destiny. 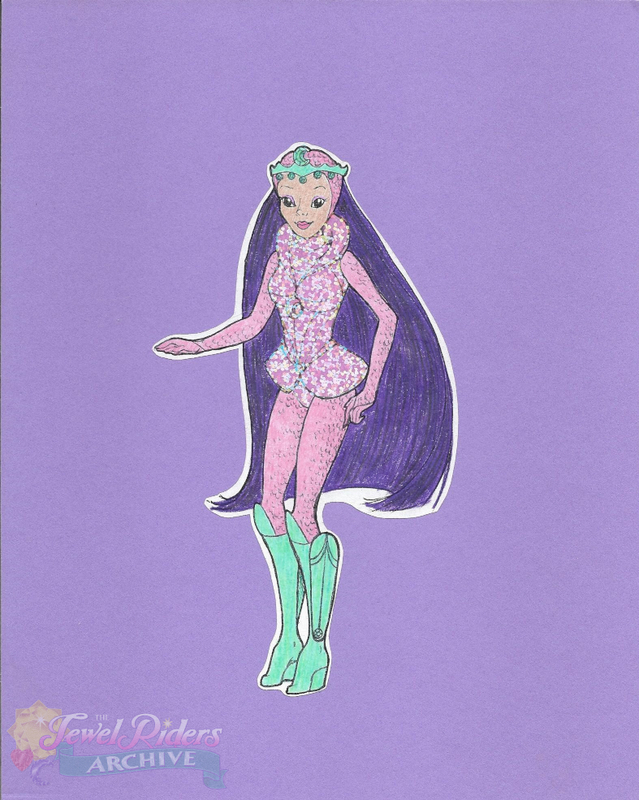 Starla heads out on her own to follow the first jewel rider but it doesn’t take long for her friends to find her and join in on the adventure. Along the way they will encounter new friends, new magic, new stones and new enemies! Will the Jewel Riders ever be a trio again? Will the magic of friendship stand this newest trial? 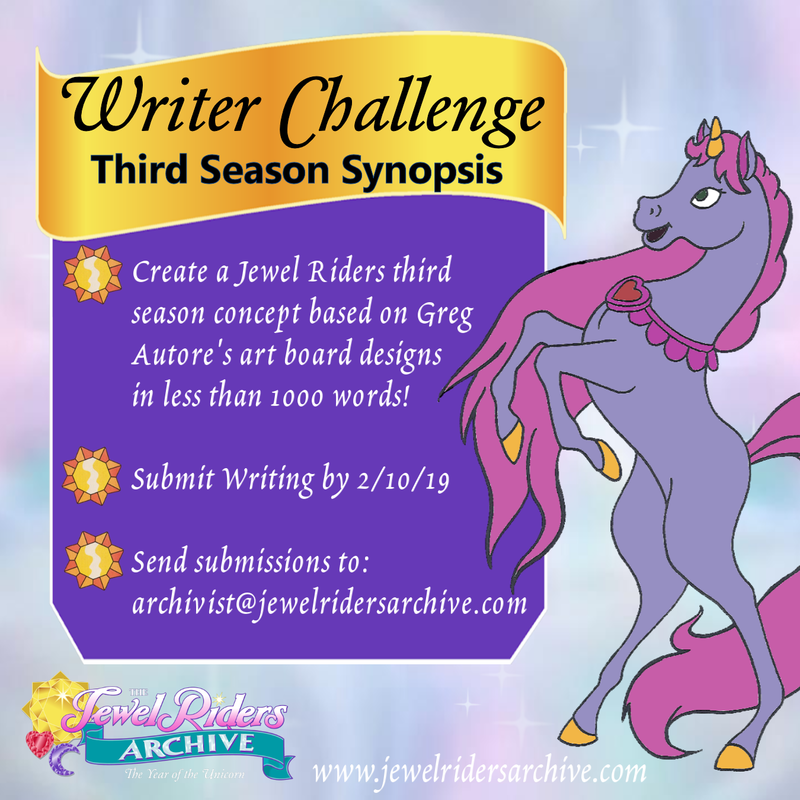 Only time will tell, so join us on this adventure in Season three of Princess Starla and the Jewel Riders. Co-founder of the Archive, Ronnie Delmar, put his creativity to good use in coming up with his concept! Our story begins with a fairytale wedding – Princess Gwenevere and Ian are finally tying the knot! Tamara and Fallon are Gwen‘s best gal friends so of course there are to be the maids of honor. But the ceremony is cut short when Arienda, the fairy wraith, appears with urgent news of a cry from help from a distant land. It seems a nomadic child fell into the wild magic, and landed in the forest of Arden. She is a wryly little thing! Tara is her name. Drake, Josh, and Max try to communicate with the trees, but all of the inhabitants seem to be in a state of confusion! No one can quite agree on where they last saw the child. 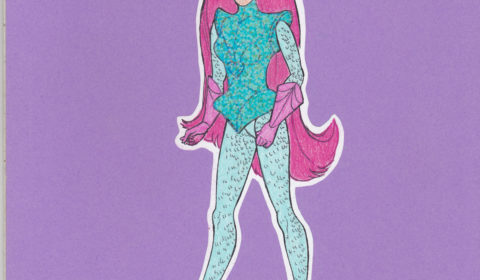 Fallon uses a newly acquired magic trick, from the twister jewel, that gives her superhuman speed. She zooms around the forest looking for Tara, but to no avail. The team returns to New Camelot to counsel with Merlin. Princess Gwenevere and Ian decide to travel with the team; especially since Ian knows those forests best! But there is another weird happening in the forest. This time there is eternal night! We know of another wild jewel that can help brighten these shadows – the bat jewel! Channeling her inner sun power, and with the help of the wild jewel, Gwen radiates a burst of sunlight to chase away the shadows and bring sunshine to the forest once again. But there is still no sign of Tara… But that’s because she isn’t there. Unbeknownst to the Jewel Riders, Morgana has escaped the would-be final destruction of the other wizards, and we find Tara sitting alongside her on Morgana’s flying throne. … The adventure has just begun! Why is Merlin so interested in Tara? How did Morgana escape? And why is the Forest of Arden experiencing such dramatic shifts? 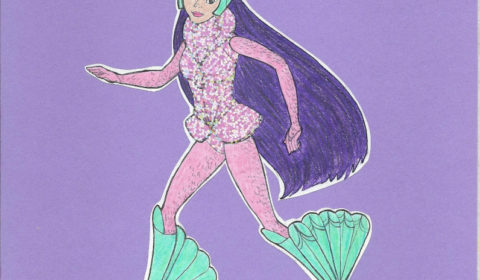 Don’t miss the thrilling adventures of Princess Gwenevere and the Jewel Riders: season three; filled with music, friendship, more mermaids and unicorns, a mystical land of flower fairies that use bubble magic, and not to mention a missing princess from the future, the one and only heir to the royal throne. And finally, co-founder of the Archive Chris Kanther dug into Arthurian mythology for his entry. Over a thousand years before Gwenevere held the Sun Stone, it was entrusted by Merlin and the Lady of the Lake to Queen Guinevere, wife of King Arthur. She used it alongside her husband to protect the land of Albion, and the shining city of Camelot. While Merlin and the Lady of the Lake used their magic to help the King and Queen, there were other Wizards in Albion as well. Morgana felt that her son, Mordred, should have sat on the throne of Camelot, and waged bitter war against the people of Albion. In a climactic final battle, Camelot was destroyed, and Arthur and Guinevere used the magic of Excalibur to send the people of Camelot and their daughter Gyneth away with Merlin and the Sun Stone to the hidden land of Avalon. Arthur’s noblest knights stayed with them, and in a final act of heroism they gave their lives to create the Border Mists that keep Avalon hidden from the rest of the world. Mordred’s armies tried to sail through and capture the mystical land, but were lost in the Border Mists, never to be seen again. A thousand years later, Morgana’s plot has failed to steal the magic of Avalon, and the Jewel Riders are enjoying months of peace since the evil wizard’s defeat and Merlin’s return. But out of the Border Mists sails the black ships of Mordred’s army. The problems with the Crown Jewels caused the binding magic of the Mists to begin to fray, and Mordred’s army, so long trapped there, is free. They have been changed by a thousand years in the Mists, now twisted monsters. None more so than Mordred himself, who holds the Jewel Riders and Merlin responsible for his mother’s demise. Merlin tries to stop Mordred’s army using the One Jewel. But even with that much magic it is not possible to stop a whole army. They march on the Crystal Palace, and while the Jewel Riders put up a good fight, the royal family is forced to flee. Merlin, King Jared and Queen Anya set up a Resistance based out of Wizard’s Peak, and in the library there the Jewel Riders discover the magic the Knights used to drive Mordred back. Six swords, belonging to Arthur, Guinevere, Lancelot, Bedivere, Gawain, and Percival, each with a jeweled pommel, were used to create the Border Mists. Merlin believes that these artifacts combined with the Enchanted Jewels can drive Mordred’s army back. 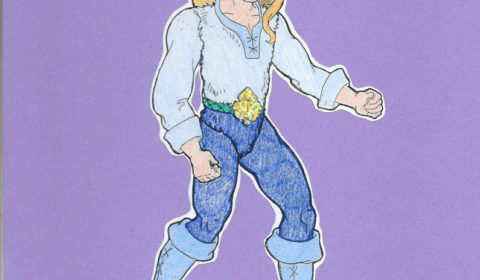 Princess Gwenevere, Tamara, Fallon, Drake, Josh, and Max must venture beyond the Border Mists to the land of Albion to search for these swords. The Lady of the Lake helps them through the Wild Magic of the Mists, but after that they are on their own. Gwen is torn about leaving Avalon, Ian, and her parents, but knows she must go and lead the Jewel Riders to victory, for the whole of Avalon depends on it. Once outside of Avalon, the Jewel Riders search for the remains of Camelot to begin their quest for the swords. At the ruins of Camelot, they find a thriving town built on the rubble. This is a town where magic is against the law, punishable by death. There is also a plague visiting the town, where the afflicted show signs of Wild Magic Poisoning, the very early stages of the same disease that affects Modred’s troops. The Jewel Riders deduce that there must be an open Wild Magic Portal in the area. Fallon and Josh scan for it, and find it in depths of the lake that serves as the town’s water supply. The town Lord found the sword of Lancelot, and used it to open the portal in the Lake and poison the people to gain control of the town. The Jewel Riders expose his plot and take the sword, which bonds with the Moon Stone. Fallon gains new Jewel Armor. The cycle continues with the Jewel Riders traveling the land of Albion, until Tamara has bonded with Percival’s sword, Josh with Bedivere’s, and Max with Gawain’s. Finally, the Jewel Riders come to a place called Glastonbury, the traditional burial place of Arthur and Guinevere. Here, Josh must use his connection with Bedivere’s sword to see where Excalibur was thrown into the Lake, and Gwen and Drake go after it. 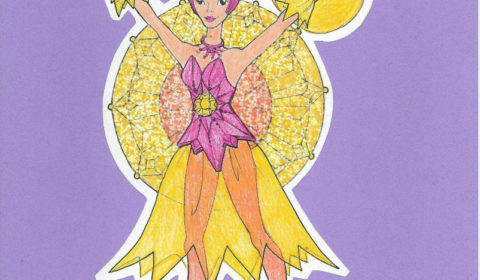 The waters are murky, and Gwen uses her Sun Stone to create a great Sun disk outfit to illuminate the waters. Far below, two swords are crossed in the deepest part of the Lake. But getting to them seems almost impossible, as they are guarded by Mer Wraiths, ready to drown any who attempt to reach the swords. Tamara uses the Crown of Frost, a magical artifact she picked up on her quest, to freeze part of the lake around the swords, but the Mer Wraiths become angry and begin attacking the ship. 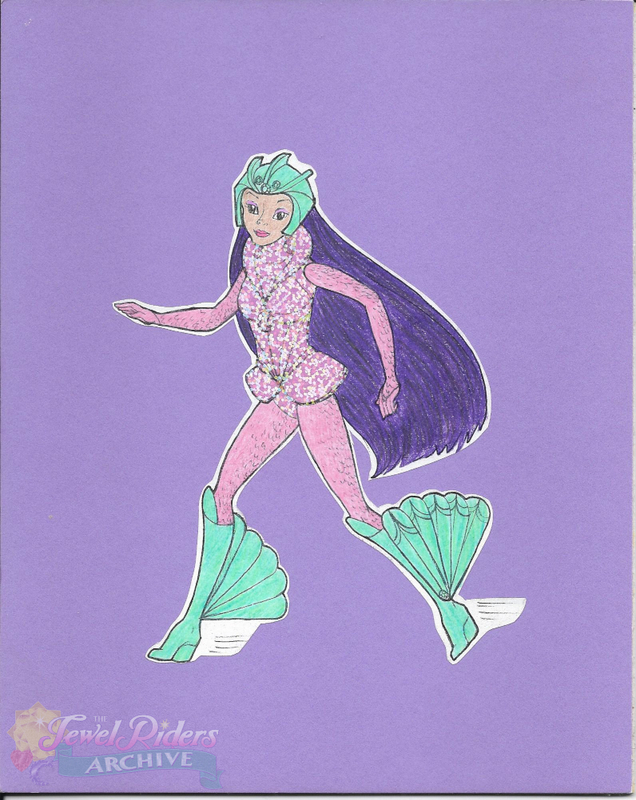 Gwen and Drake use the magic of the Merfolk given to them by Gilly to dive into the Lake while the rest of the Jewel Riders protect the boat. After a struggle, Drake draws Excalibur and Gwen draws the sword of her namesake, and the Mer Wraiths vanish. Their task is at an end. The King and Queen have returned. Using the magic of the original magical circle, the Round Table, the Jewel Riders are able to summon the Lady of the Lake, who opens a portal back to Avalon. They return to Wizard’s Peak, and Jared and Anya rally all their allies. Surprises await, as they even find Princess Kale among their new allies. They march on the Crystal Palace, and retake it in a huge battle that sees Mordred defeated and his monsters destroyed. There is a huge celebration, and the Jewel Riders use their new power to free the Lady of the Lake from the Center of the Wild Magic. Returned to living flesh, the Lady Nimue is reunited with Merlin, her love. Gwen and Drake, over the course of this adventure, have realized that – like their original vision in the Dreamfields – are meant to be. Gwen proposes to Drake, and they are engaged. The Border Mists disappear, and the way between Avalon and Albion is open once again. Who knows what new adventures await? We can’t thank all the authors enough who contributed to this challenge. It was truly a pleasure reading your ideas and seeing your creativity on display! We would love to see any of these produced! Please go ahead and vote for your favorite below!